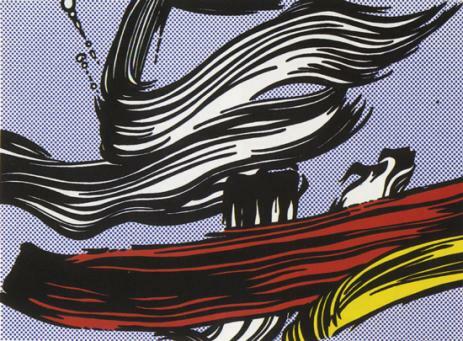 Undoubtedly one of the most well-known American artists of the twentieth century, Roy Lichtenstein was born in New York City in 1923. 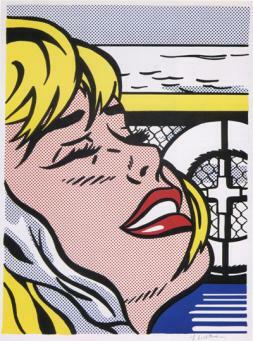 Although art was not taught as part of the curriculum, he began to paint and draw in independently while in high school. 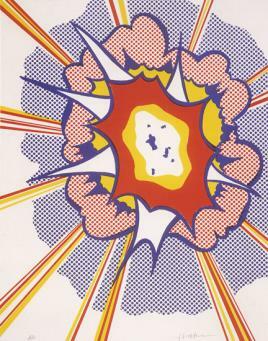 He began to study at Ohio State University but suspended his education in 1943 to serve for three years in the United States Army. 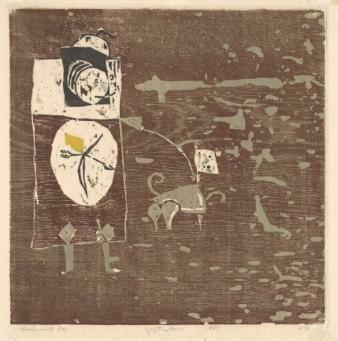 After the war, he resumed his education and received a bachelor of fine arts, and later a master of fine arts, from Ohio State University. 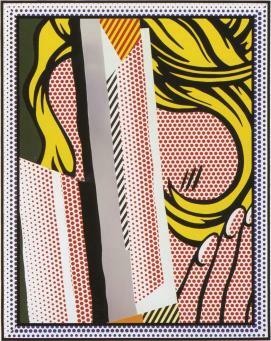 Lichtenstein taught painting at Ohio State until 1951, when he began teaching in upstate New York. 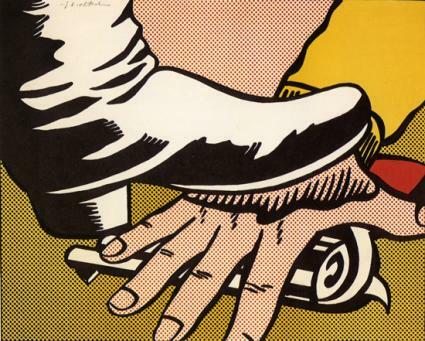 During this time, Lichtenstein began to paint iconic images of the American West, cowboys, and Native Americans. 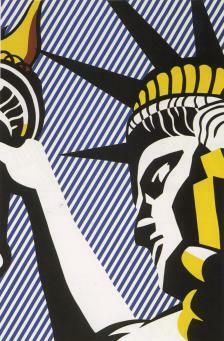 In 1960 he moved to New York City upon accepting a teaching position at Rutgers University in New Jersey. 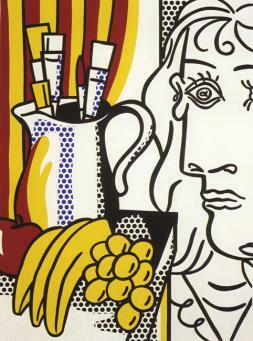 At this time, he began to create the images for which today is considered his distinctive style. 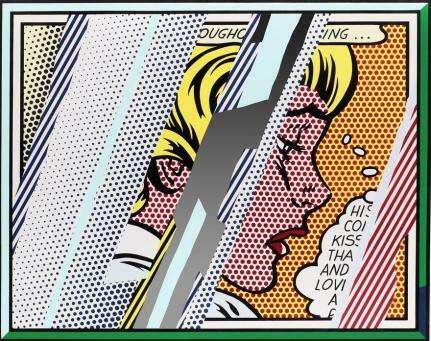 Using commercial art and printing methods, Lichtenstein used projectors to magnify spray-gun stencils and replicate the Ben Day dots of illustrations from contemporary newspapers and comic books. 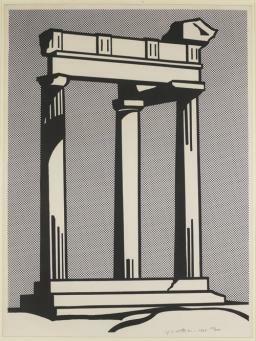 In 1962, Leo Castelli held the first solo exhibition of Lichtenstein's work in his New York gallery. 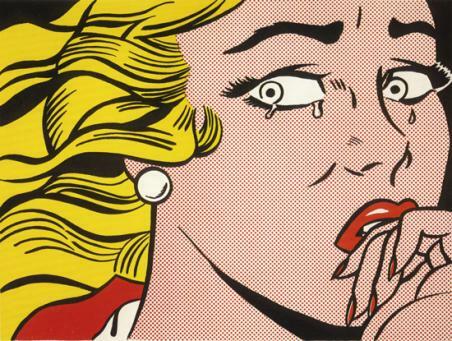 To the artist's surprise, the entire show was bought by a roster of influential collectors prior to the show's opening. 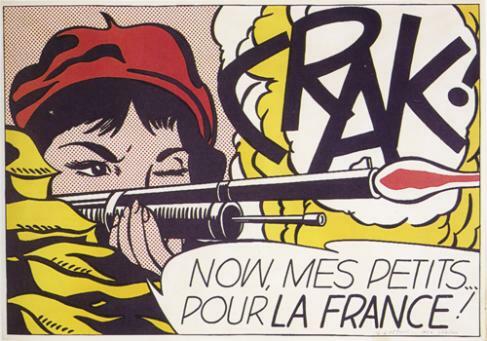 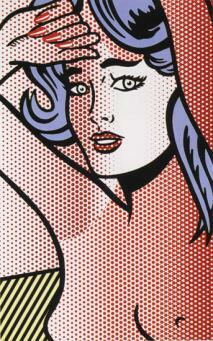 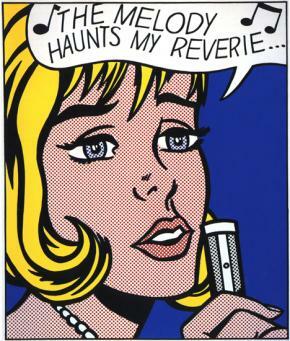 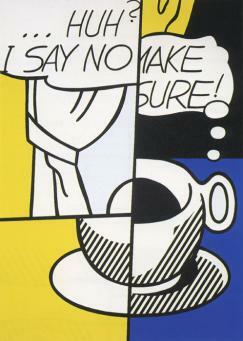 Following this show, Lichtenstein began to make enough money to stop teaching and devote all of his time to painting. 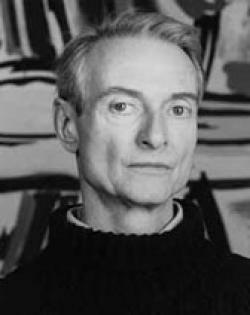 In 1966, his work was exhibited in the Venice Biennale, and in 1969 the New York Guggenheim held a large-scale exhibition of his work. 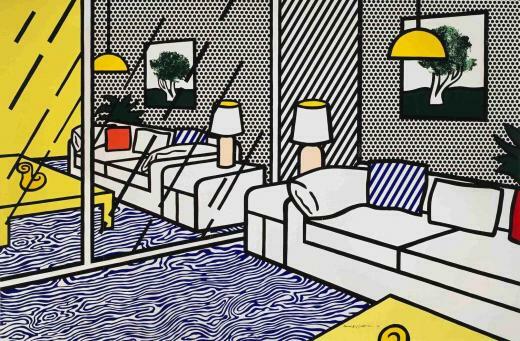 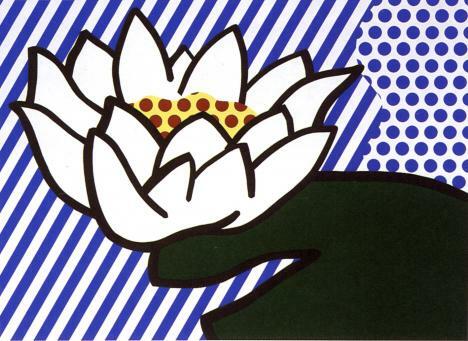 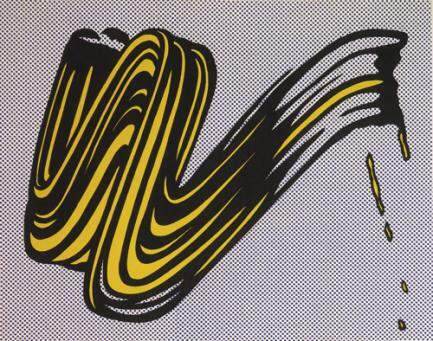 The 1970s are marked by Lichtenstein's experimentation with different styles, including op art and commercial -based design, and media, including sculptures in metals and plastics. 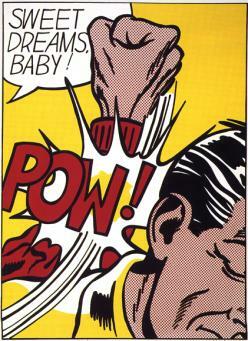 His work considers representations of life by the media, and the ways in which these images construct popular culture.